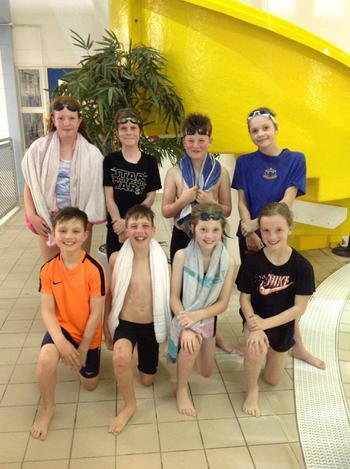 Primary Schools' swimming gala success! On Friday 20th April, a group of children competed in the rounds of the Primary Schools' Team Championships swimming gala at the Meridian Leisure Centre. Competing as a large school, we had a team of girls and boys respectively. After a short warm-up, both teams swam to the best of their ability in the Medley relay; each swimmer in the team swam a different stroke whilst having to start and finish correctly. Later in the freestyle relay, the girls progressed to the final (the top 8 teams) whilst the boys finished third in their final; this meant that they will progress to the final to represent the East Midlands in June at Sheffield. An excellent sporting attitude from all who were involved - well done!